The Vancouver Giants hit the ice for practice on Thursday afternoon at the Langley Events Centre. 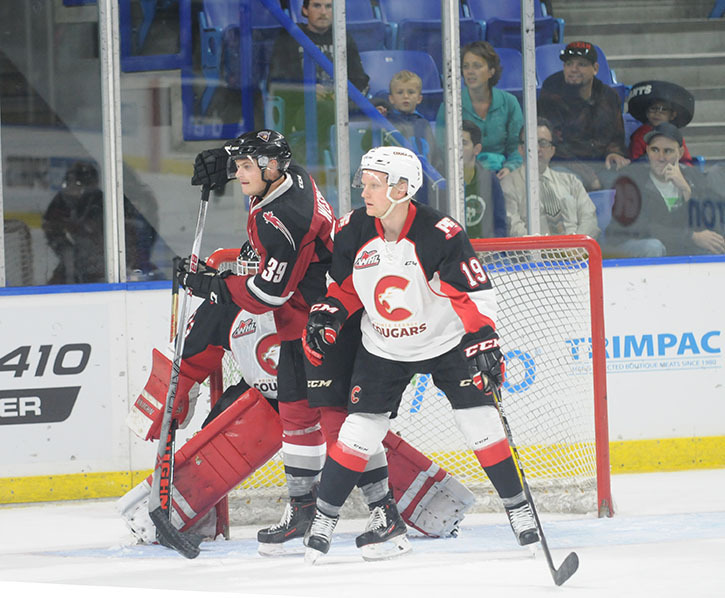 The team is preparing for their Western Hockey League season opener on Sept. 23. Game one of the Vancouver Giants 2016/17 season is less than 24 hours away. And not only is the major junior hockey team starting a new season, but they are also in a new venue with a new general manager and new coach. “They are pretty excited for a fresh start in an environment we think is going to be loud and noisy and I think the kids will feed off that for sure,” said coach Jason McKee. McKee had just put his team through a practice on the ice at the Langley Events Centre on Thursday afternoon, the team’s final preparation ahead of their Western Hockey League season opener on Friday night (Sept. 23) against the Everett Silvertips. The game, which begins at 7:30 p.m. with a special ceremony to honour the late Gordie Howe, is officially a sellout. The two teams will complete the home-and-home series the following night in Everett. “They are ready to play for real and we are excited for the opportunity on Friday,” McKee said. This game is a chance for the Giants to begin on a positive note as they look to qualify for the post-season after missing in 2015/16. The Giants will be without six regulars — including leading goal-scorer Ty Ronning and captain Tyler Benson —as they are at training camps with their respective NHL teams.